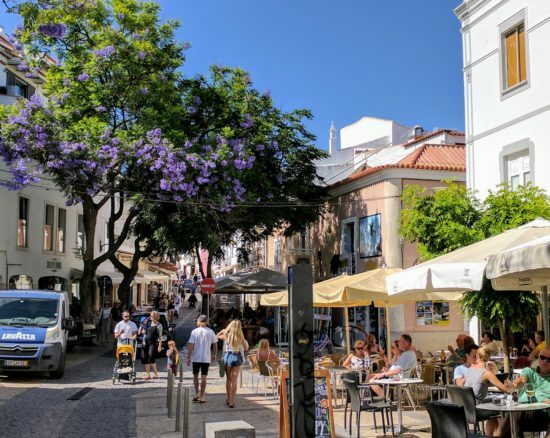 Lagos, Portugal. A beautiful seaside destination where all things summer come to life. 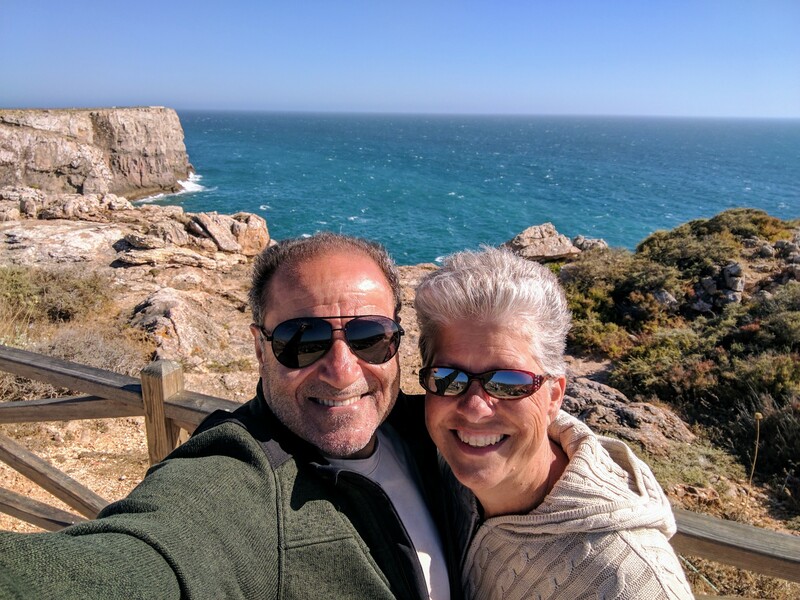 It’s been the ideal respite as we start this next chapter – the expat experiment. And, while our visas took longer to get our hands on than we anticipated, it all worked out for the best. I always say, life is what happens to you while you’re busy making other plans. Actually, it was Allen Saunders who coined the phrase, but I borrow it a lot. I hope he doesn’t mind. Eight days in Lagos was just what the proverbial doctor ordered. 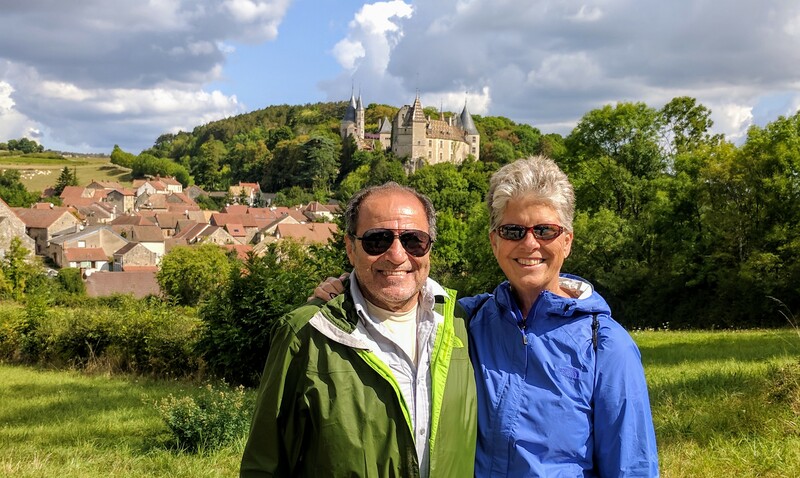 We enjoyed the hospitality of lovely hosts who graciously just let us be in the moment. We spent the week taking long (very long) walks and I’m fairly certain we’ve walked the better part of Lagos. 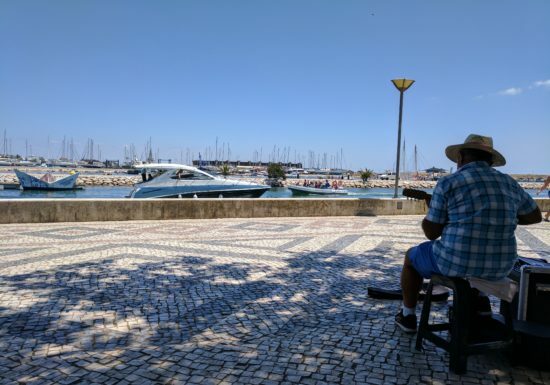 We found a cafe where we sampled the local pastries and watched the people come and go – especially four elderly women who came every day to meet and sip espresso – and we had our favorite spot in the shade on the waterfront promenade. 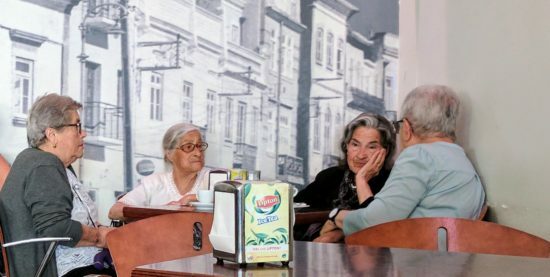 These four women would meet and chat every morning, sip their espresso, eat a custard tart and sit for hours. Okay, so I guess you now know how often we were in the same cafe. 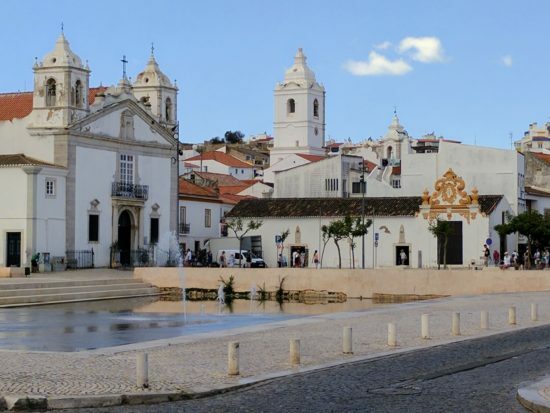 As I write this, we’ll be up bright and OH so early tomorrow morning to catch a train to Lisbon where we will spend three days exploring the city. From Lisbon, we’ll fly to Brussels where we’ll spend five nights and THEN, if the stars align, we’ll set off to ride the rails with Eurail for eight weeks. Here’s a look at some of the highlights of our eight days in Lagos. Wait. Can one have highlights when one has done so little for eight days? You be the judge. The historic wall that surrounds Lagos. We walked by this spot nearly every day and we never tired of seeing it. Lovely, right? The Santa Maria Church is on the left and just on the side of it there is a small museum which leads to the Chapel of St. Anthony and albeit small, this chapel is gilded beyond words. No photos allowed but trust me, it’s stunning! This may seem like an odd shot of a man’s back, but I wanted to show you the view from our favorite bench on the waterfront promenade. We sat on our bench more than once to listen to this sweet man play his music. 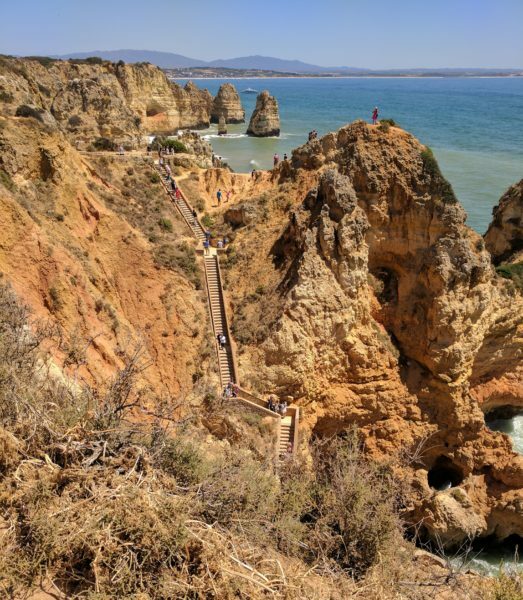 These are the stairs at Ponta da Piedade. There are 195, Abi counted. We went down all 195 and then back up all 195. Lagos is all about the sidewalk cafe. The dark stones are where cars are allowed to drive, the beige stones are the sidewalks; definitely blurred lines at all times. The Jacaranda Trees are stunning! We loved this little cafe, Kohinoor, best Indian food! We ate there twice. Here we are at the end of the European continent – or at the beginning depending on how you look at it – holding on for dear life against the gale force winds. 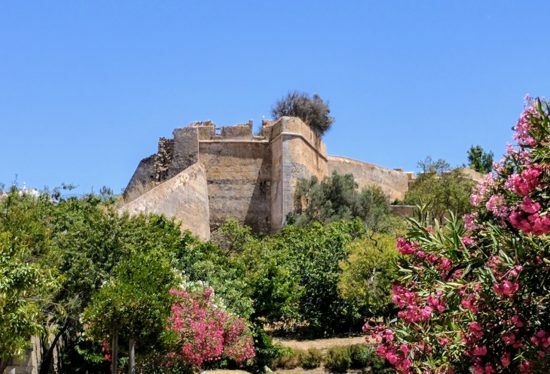 At the Sagress Fortress. 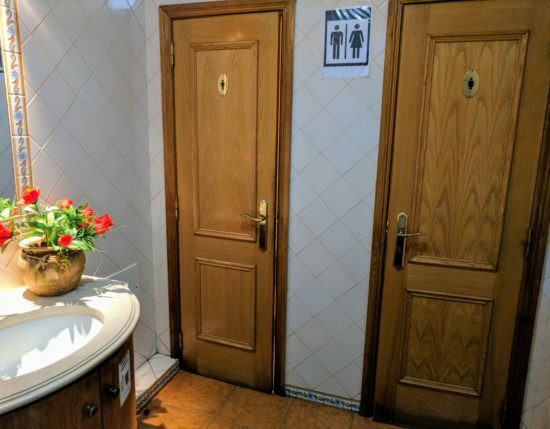 You’re probably thinking, why is she posting a photo of a bathroom? If you’re from the US you know there’s a lot of talk going on about bathroom laws, ridiculously so. Europe has it down. One man, one woman, a common sink area. It’s just not a big deal and there are many in the US who could take a lesson. Eggs, a.k.a. 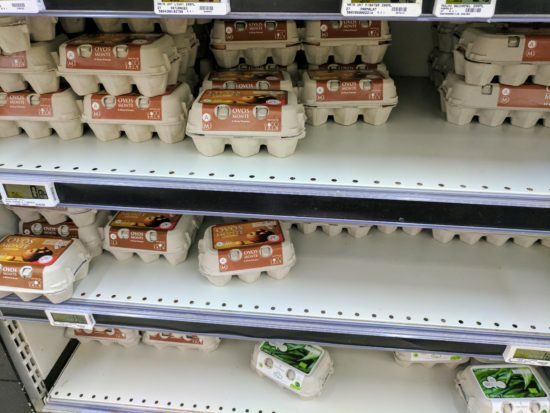 ovos, are sold on the shelf. Not refrigerated. Apparently, they know something we don’t know, but I know a health inspector in Oregon who would have fined us big time if we had eggs out of the refrigerator when we had our Bed & Breakfast. When traveling, it’s important to learn the local language. 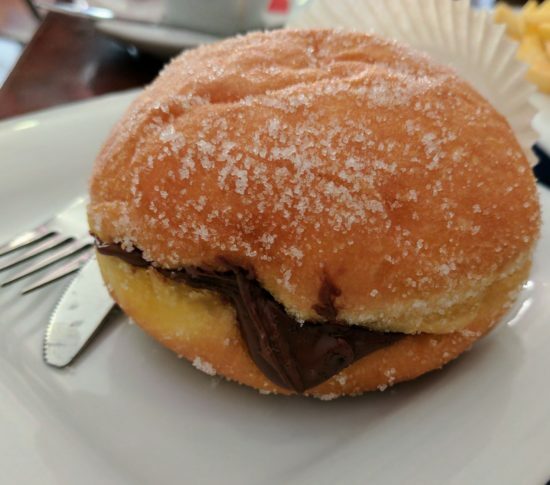 This, my friends, is a Bola de Berlim (Portuguese doughnut) and it’s all kinds of delicious. What better way to end eight days in Lagos than with a walk on the beach? So what do you think? A few pretty good highlights, right? I think we did good since we actually did very little. It’s been a good stay in lovely Lagos. But, all good things must come to an end and enough of this lolly gagging around. We’ve flicked the brain switch to travel mode and now it’s time to go! 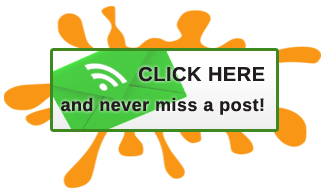 Book your Lagos accommodations here. You’ve been gone that long already? It feels like you just left. It’s true. Time flies. 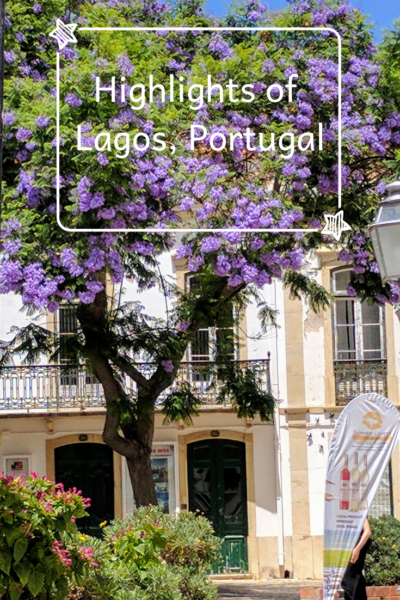 I’ve been to Lisbon, Sintrá and Évora, but I’ve never been to Lagos. 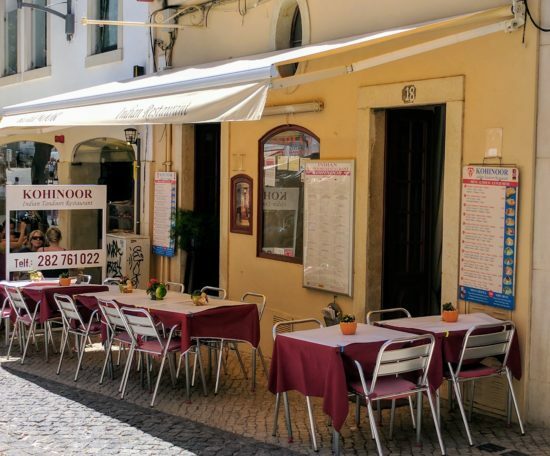 Based on your photos, I clearly need to make another trip to Portugal. Those jacaranda trees are gorgeous. I’ve only ever seen them in South Africa. I’m looking forward to following along when you hit the rails. 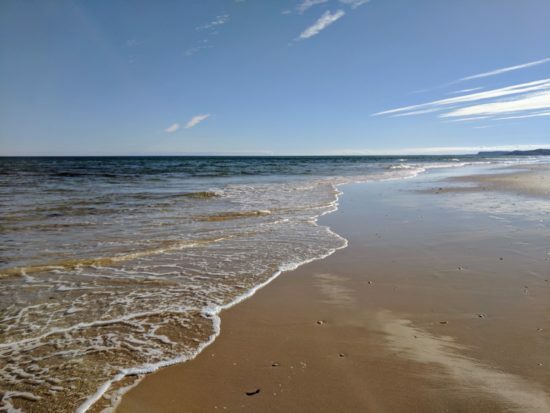 Great set of photos Patti – so glad you are travelling again – mind you I don’t think I could have managed a paddle in that restless sea!! where is the next adventure taking you too?? Thanks, Christine. We did not go out on the water, stayed safely on dry ground. 🙂 We’ll be traveling throughout Europe for the next several months. Thank you, Cindy. The sidewalk cafes are just so “European” and so charming. The only issue we have is that so many of the people who sit outside smoke cigarettes and it can be a challenge to avoid the smoke, but we manage to make it work by choosing tables on the edge and down wind. I’m glad you enjoyed our highlight photos and thanks for following along! I was really curious, Gilda, but they chatted in Portuguese so I have no clue. I’m pretty sure 2 of them were twin sisters. The woman in black and the woman next to her wearing glasses. In person, they were identical looking. They all just made me smile. I’m jealous Patti. As you know we were just there in May. Seeing your pictures makes me want to go back! We did not have the wind, but did have a little rain. Weren’t the stairs killer?!?!! I couldn’t really understand why so many people were rushing down them just to stand on a small area. It was crowded and too close to the water for me. Thinking of you and your adventures. Enjoy Lisboa! Sometimes it is nice to hit the pause button and take in all that beauty. Happy rails to you! Very nice! I thought I’d ask about the bathroom thing but on 2nd thought don’t care – way too much ridiculousness going on. But it looks great Patti and I can feel your excitement and I’m reminded of us when we left everything in 2014. You’re going to have some fantastic travels and look forward to your posts. Thanks, Frank. You’re right, you don’t want to know! I think you and Abi walked the “better parts of Lagos” and all the lesser parts too. It was nice for us to see Lagos through your eyes and and kudos to you both for finding the Indian restaurant, Kohinoor. And now that you’ve had a chance to regroup and catch your breath … it’s time to ride the rails. 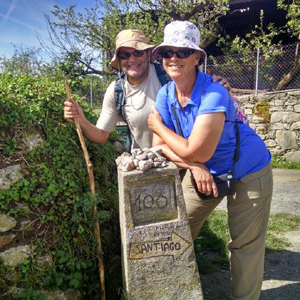 Have fun and we’re looking forward to your Eurail adventures and stories! We had a terrific time in Lagos exploring all of the nooks and crannies. Lagos is lovely. We definitely had a good time, Donna!